Nature’s Botanical is an essential oil based natural insect repellent. It repels flies, mosquitoes and sandflies, which are also known as midges. In addition, Nature’s Botanical does not contain chemicals such as DEET or Picaradin. Due to the properties of the essential oils, the product can also soothe itches if it’s too late. Extensive field studies have shown the product can repel flies, midges and mosquitoes for up to 4 hours when applied to lower limbs. These studies were conducted in Tropical Queensland. Actual protection time will vary depending on a number of factors such as how applied, the area of protection (because limbs are less attractive to flies than the face) and skin chemistry (eg sweating, how attractive an individual is to insects etc). We have sold more than half a million units in Australia and overseas since 2005 making it one of Australia’s most popular natural insect repellent. 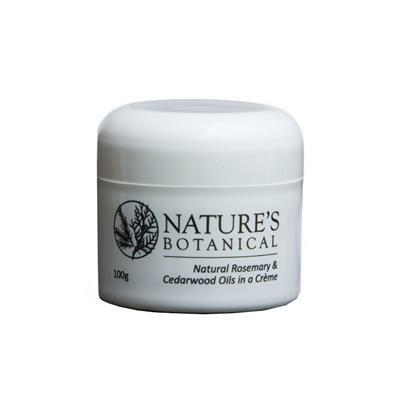 Our essential oil ingredients are Rosemary Oil and Cedarwood Oil. These are combined in a base which includes olive oil and vegetable based emulsifiers. Both oils are regarded as safe for application to skin by regulators such as the EPA. Because Nature’s Botanical is a natural insect repellent it is far safer to use then products containing chemicals such as DEET. Whilst their natural insect repellent properties are relatively well known, they are understood to have other beneficial properties. • Do not use if pregnant. • We recommend you fasten the lids after use.